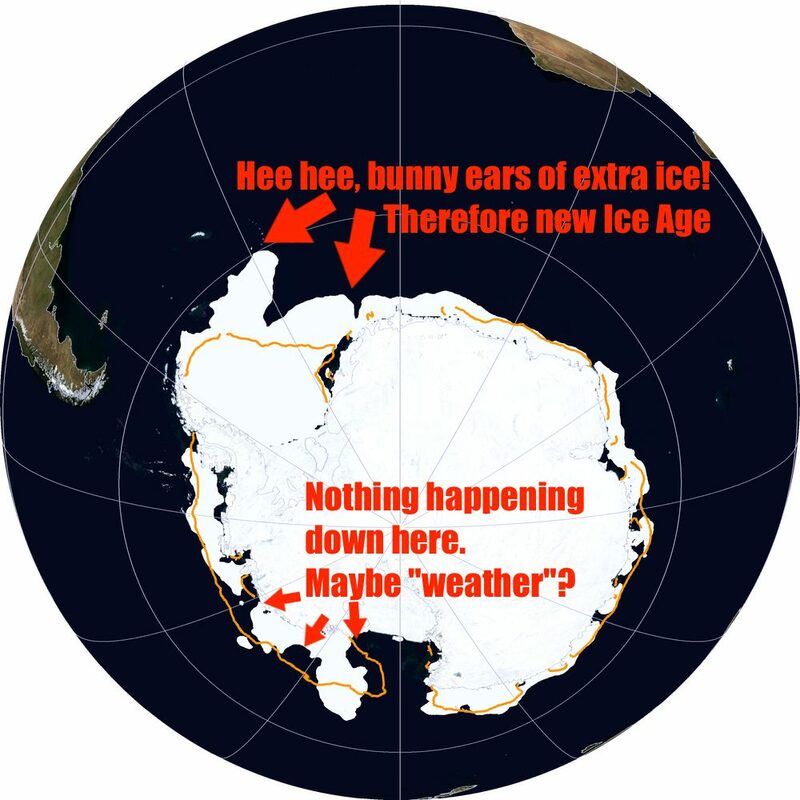 I'm not a Climatologist | Wott's Up With That? “IPCC AR5 draft leaked, contains game-changing admission of enhanced solar forcing – as well as a lack of warming to match model projections, and reversal on ‘extreme weather’“ (2012-12-13). What’s this? A GAME-CHANGING revelation about global warming? That’s, like, the tenth time! This one’s gotta stick, right Anthony? Let’s see… this is a leak by an actual insider IPCC expert! Now that ought to get everyone’s attention! Oh, our expert is just Anthony Watts’ blogging buddy Alex Rawls and his “expertise” consists of being able to promise that he wouldn’t release any of the IPCC AR5 draft text. (Looks like he dropped that ball pretty quick via a bit of self-sainting: “As for my personal confidentiality agreement with the IPCC, I regard that as vitiated by the systematic dishonesty of the report“.) Actual science credentials? Zip. He’s just another denialist nutter who thinks he’s the next Galileo. The forcing from changes in total solar irradiance alone does not seem to account for these observations, implying the existence of an amplifying mechanism such as the hypothesized GCR-cloud link. So the juicy sentence was just a minor aspect of a solar influence discussion (spoiler: the influence is big, obviously, but so invariant as to be irrelevant to modern climate trends). Really, how could there be anything “game-changing” in an IPCC report? It’s freakin’ based on the existing published science! Is Alec stupid enough to think that a bit of draft text from a scientific summary would be how we suddenly recognise a paradigm shift in climate science? Apparently, yes. Alec also consider’s himself a national hero for bravely blowing his whistle. Both of these beliefs merit a solid whack on the side of the head. “WUWT – helping to educate UEA students on climate” (2011-12-04). Gosh, Anthony Watts was “educating” students in a United Arab Emirates [senior moment reversed] University of East Anglia introductory Environment class according to some of the “new” stolen Climategate e-mails! He’s pretty puffed up about it too. Err, make that “edumacating“. Climate scientists were stunned to learn that a lecturer was using material from university drop-out Anthony Watt’s blog, as well as from his Aussie twin Jo Nova (ask her about the Rothschilds), in his course material. Material which has frequently been shown to either intentionally deceive or be based on scientific ignorance. Give yourself a pat on the head, but don’t try to rub your tummy at the same time, Anthony. You’re an expert now as long as no-one notices the lecturer’s admission that “I don’t have a grounding in climate science“. All you’ve really done is provide an example of how gullible random Googling can propagate lies and ignorance.